The Hale Bridge has helped travelers cross the Wapsipinicon River in Iowa since 1879. Damaged by floods in 1993, the bridge was closed to traffic in 1997. However, the bridge was nominated for the National Register of Historic Places in 1998 as the longest-standing bowstring arch bridge in Iowa. 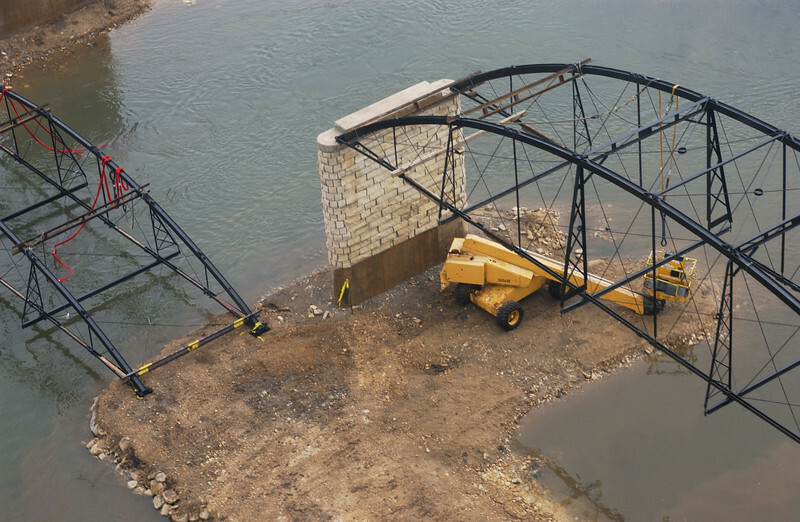 In 2003, the bridge was moved to storage by a planning group composed of representatives from the state DOT, the Federal Highway Administration, Jones County, the Hale area, and the state historical society. After a three-year restoration, the bridge was relocated 12 miles by air thanks to the Iowa Army National Guard, to Wapsipinicon State Park, where it serves as a pedestrian bridge.